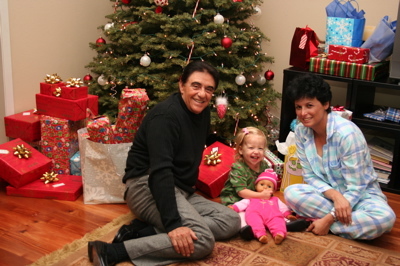 we had christmas with my family early this year. marlene and josh came in for 5 days, which was a real treat. 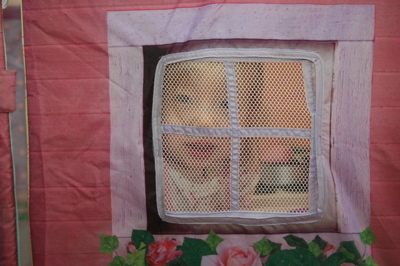 emma loved it! tito and tita were here, too. this is the night we exchanged presents!!! 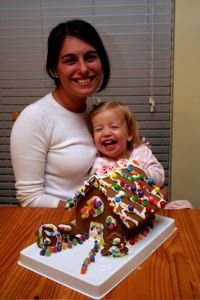 this year’s gingerbread house. emma had a blast. a decent shot of all five. 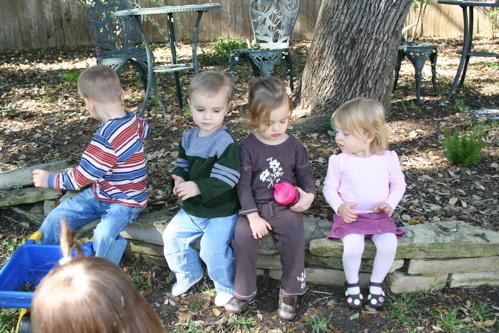 elizabel, travis, chase, ava, and emma. 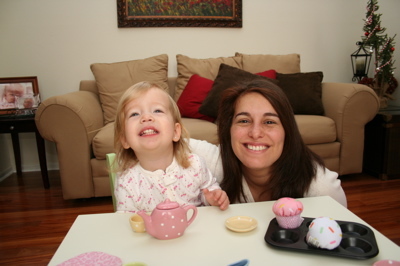 emma and mommy having a tea party christmas morning. 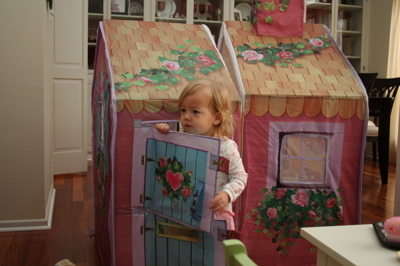 emma LOVES her rose petal cottage! i wish they had this when i was a kid. 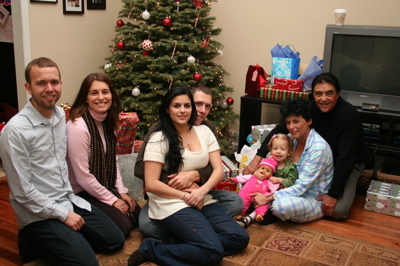 Author denissewarshakPosted on December 28, 2007 Categories photos, the mom1 Comment on christmas photos. 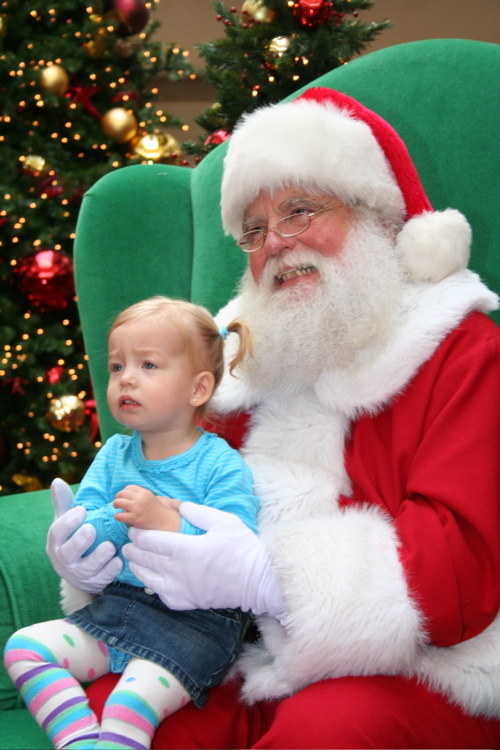 last year’s experience seeing santa was less than perfect. we had a two and a half hour wait to see him, emma fell asleep about half way, and we had a cranky baby when it was time to see him. soooo, as a result, she was not very happy. 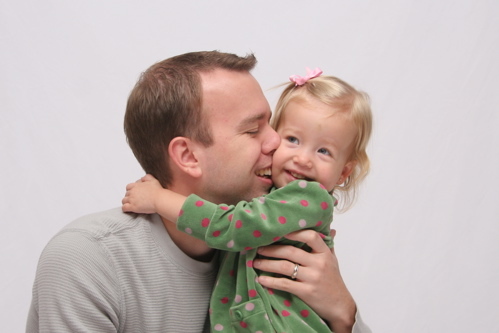 ;-( check out last year’s post. 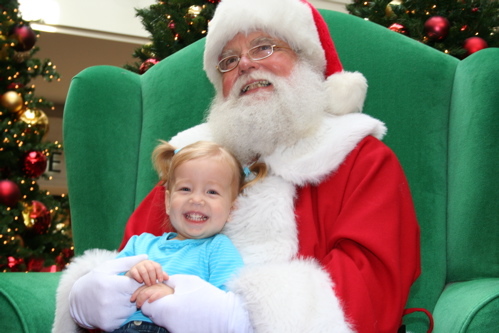 this is emma telling santa what she wants. 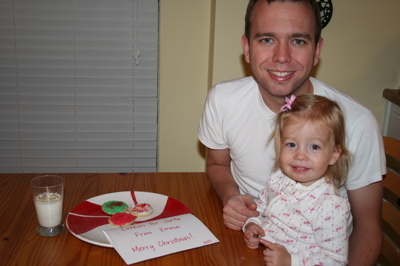 so far, she has requested a cake (yes, a cake) and animals. 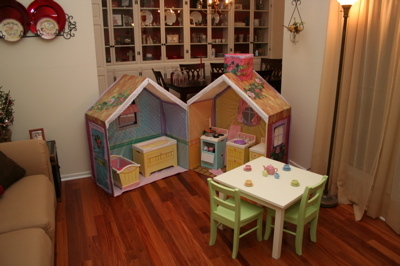 santa had some coloring books with him, so she asked for one of those when she saw them, too. next we did the transfer. 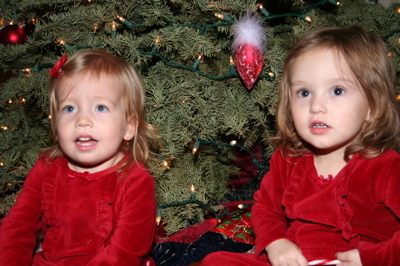 i quickly slid emma from my lap onto santa’s. she’s not too sure what to think of it. 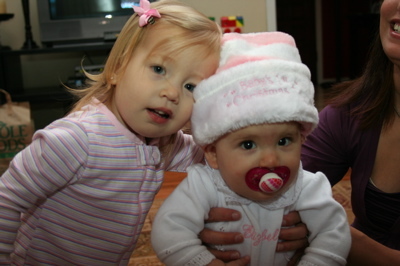 and finally, emma and santa are FRIENDS!!!! yay! 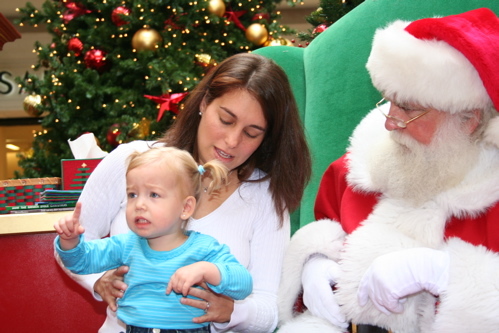 Author denissewarshakPosted on December 21, 2007 Categories photos, the mom1 Comment on emma and santa 2.
we had a cookie party last week. it was so much fun! 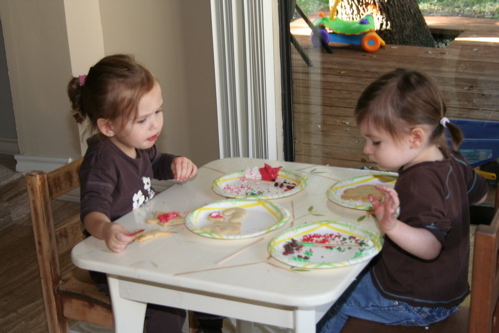 sugar cookies in all shapes, colored icing, and sprinkles… the kids were more interested in eating the cookies than they were in decorating them. we decorated about 3 or 4 and took the rest home for later. still, it was great fun. thanks, erika! 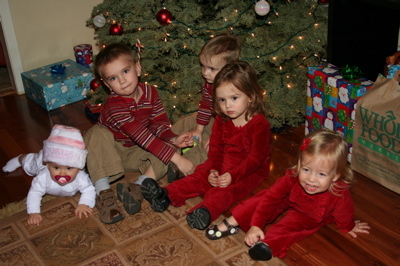 the ONLY photo i got with all 5… it is sooooo hard to take pictures of these kids!!! 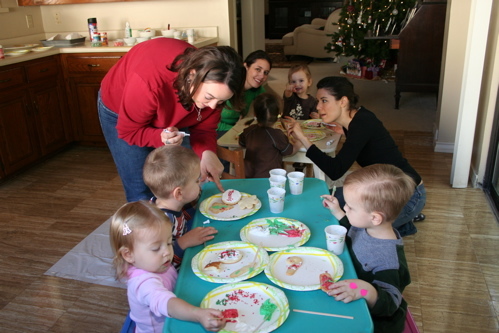 Author denissewarshakPosted on December 9, 2007 Categories the momLeave a comment on holiday cookie party! 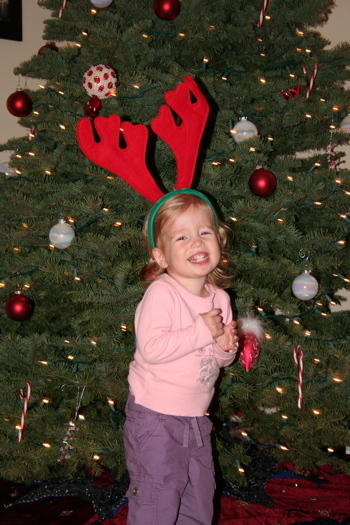 Author denissewarshakPosted on December 7, 2007 Format ImageCategories photos, the mom1 Comment on emma, the happy reindeer. 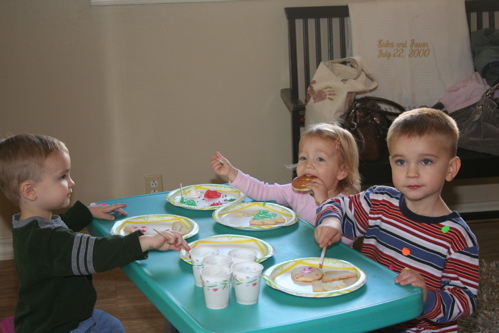 Author denissewarshakPosted on December 5, 2007 Format ImageCategories the mom2 Comments on Happy Birthday, Daddy!